Added new collision shapes: cone, tetrahedron, path convex and Wavefront .obj format. And new feature to generate collision shapes from Shape/Text Layer. Toy Bricks simulates physical motion and collision of rigid bodies and constraints in 3D space. 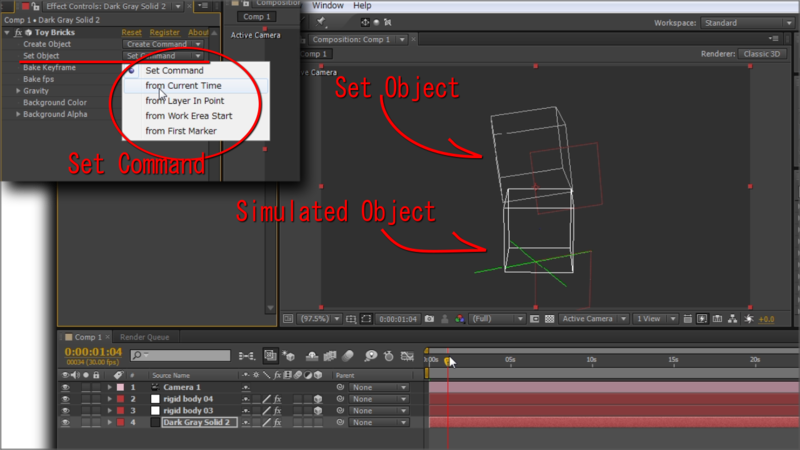 It can export (bake) the physical simulation as After Effects keyframes. To get started you choose one of the three main modes: create, set, bake. Creates rigid bodies or constraints as 3D null layers. You set their initial position, rotation, and parameters. Sets the initial state of the object and defines when the physics simulation should start. You can check the simulated motion by scrubbing the timeline. 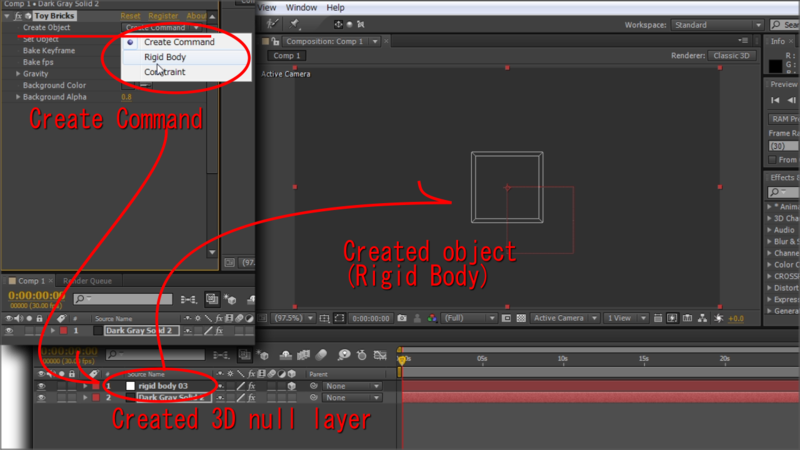 Bakes the simulation as position and orientation keyframes to null layers. 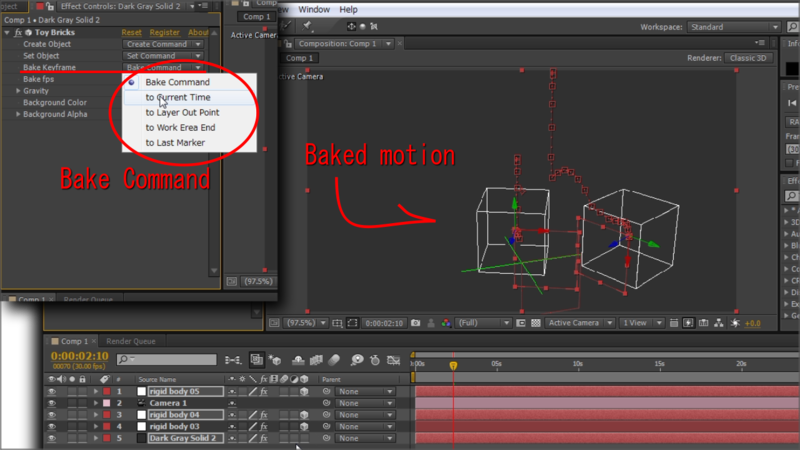 Once you "bake", you get the physical simulation motion as After Effects position and orientation keyframes.